Due to changes in bus stop locations in Newcastle City Centre, stopping arrangements of a small number of services will be revised from 30 April. 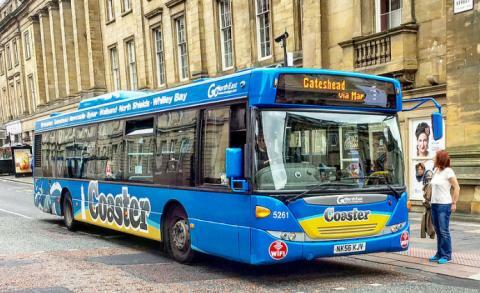 To improve reliability and reduce congestion in Newcastle City Centre, the stopping arrangements of service 1 and 1A towards Gateshead and Wrekenton will be revised. There are no changes to the stopping arrangements towards North Tyneside. Due to the installation of an additional bus stop on Market Street in Newcastle City Centre, Blue Arrow service 11 will change where it stops on Market Street when travelling towards Metrocentre. Due to the installation of an additional bus stop on Market Street in Newcastle City Centre, Green Arrow services 97, 97A and X97 will change where they stop on Market Street. The service will go back to stopping outside of the Theatre Royal, at the stop just before Grey Street. There are no changes to other stopping arrangements.